Funky Joann has created another fun enamel experience. 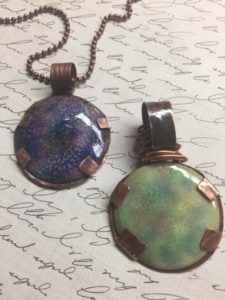 Using a layering of colors topped with a crackle enamel, you’ll create a one of a kind work of art. 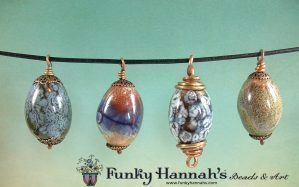 Our own Funky Joann has taken her love of metals, enameling and jewelry design to a new and fantabulous level! These melon shaped beads will be enameled and fired in class so you can create an original piece of wearable art. $20, plus $25 supply/equipment fee to the instructor.